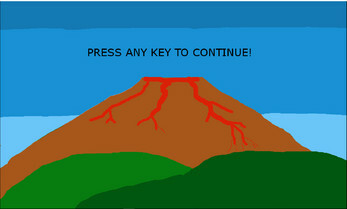 Joking name aside, in "A Plantformer" you find yourself stuck on an island with a lava flow slowly moving towards you. 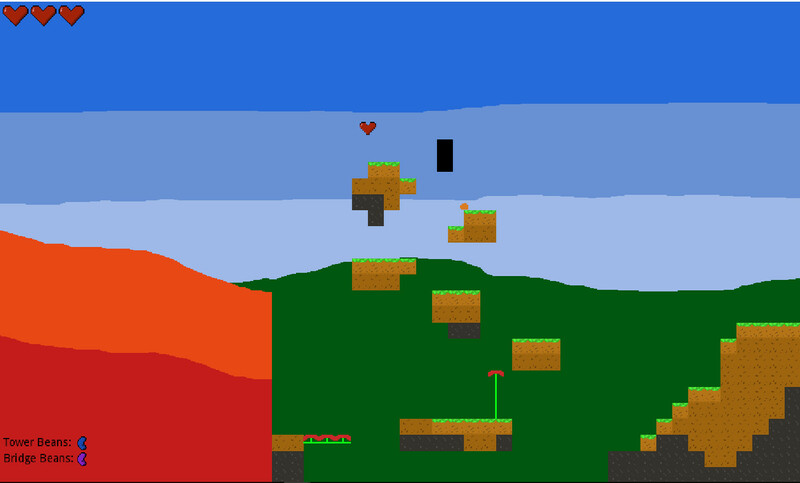 To get away (you can't its endless) you must plant magic beans to get across the insane pseudo random landscape while avoiding fast moving enemies. 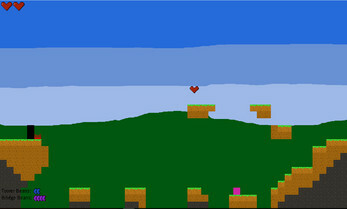 Find bean bags and peoples hearts scattered across the land to help you on your way. Make sure to not run out of beans! Use arrow keys to move and (optional space bar) to jump. Plant beans with Z (tower) and X (bridge). Both plant a space in front of you but to plant a bridge bean you must have a open space for it sideways too. Thank you, I'm glad you enjoyed it. I don't really feel like making sprites right now (I'm super lazy) for animating the player and enemy (at least toady) but I did just add music to the game in the new version 1.2. 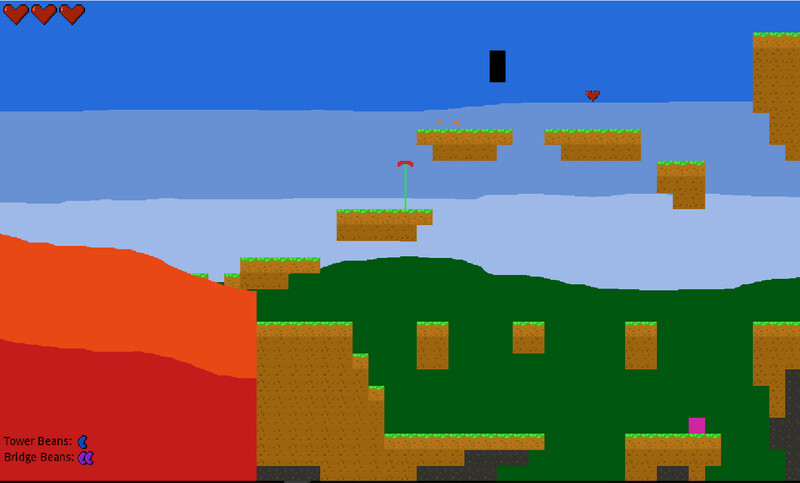 Of course good art improves any game so hopefully I can get around to that soon.